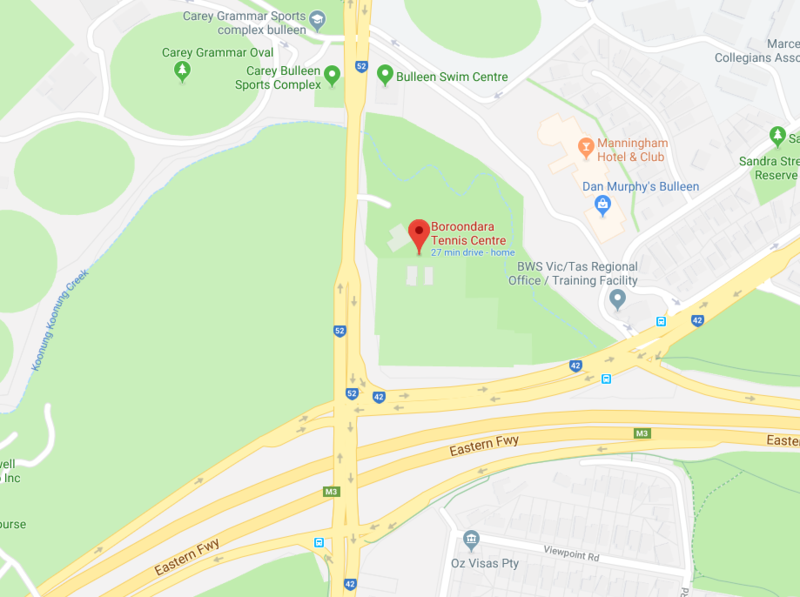 The following Calendar lists all of the tournaments being held at the Boroondara Tennis Centre. Tournaments highlighted in green are organised and run by Warren Maher and the Boroondara Tennis Centre. Any enquiries for Tournaments highlighted in green please contact Adriana Korakis at the centre on 9850 4500. Tournaments highlighted in white are organised and run by Paul Gaff and Team Tennis. All Boroondara Tennis Centre tournaments will adopt the following policy for the refund of tournament entry fees. This policy has been adopted directly from the Tennis Australia guidelines as set out in the Tournament Regulations for Australian Money Tournaments and Junior Tour tournaments. a) Any withdrawals before the 7-day withdrawal deadline will be issued a full refund of their entry fee. b) Any withdrawals after the 7-day withdrawal deadline, but before the release of the draw, will be issued a refund of 50% of their entry fee. c) Withdrawals after the release of the draws will not be entitled to any refund of their entry fees. d) Any athlete who has “no showed” or is found to have entered two tournaments without approval will not have their entry fee refunded. e) Any athlete that has entered two overlapping tournaments but is required to withdraw and has contacted the overlapping tournament within the required timeframe will be refunded their entry fee, less an administration fee of $10.00. f) Any athlete entering a doubles event without a partner and has to subsequently withdraw due to not being able to find a partner before the release of the draw will be entitled to a refund of 50% of their entry fee. Where a doubles partner can be found to replace a withdrawing partner and the remaining partner chooses not to play, no refund shall be required to be paid. All withdrawals must be submitted by the athlete to the tournament director in writing. No athlete will be withdrawn from a tournament until we have received their written withdrawal. This can be done via email to tournaments@boroondaratenniscentre.com.au or fax to 9852 0650. For the purpose of issuing refunds, the date we receive your written withdrawal notification is the date you are considered to have withdrawn from the tournament. This is the date that will be used to calculate the amount you will be refunded. Tournaments need not issue a refund if the withdrawal procedure is not followed. Refunds, less a $10.00 administration fee, will be issued if a tournament is cancelled (due to weather or other extenuating reasons) before the completion of an athlete’s first match within that tournament. It is the athlete’s responsibility to be aware of the withdrawal procedures and to ensure that any withdrawal notification is received by the Tournament Director.